Influencer Relationship Management or IRM refers to managing your interactions with influencers. The strategy draws inspiration heavily from Customer Relationship Management (CRM) which is about managing interactions with customers. By realizing that influencers aren’t your employees but strategic partners, brands can manage their influencer relationships effectively. In fact, you should focus on managing these relationships as much as you focus on your customers. Influencer Relationship Management is all about creating strategic relationships with influencers. This allows you to develop and maintain a controlling position over marketing. You do so by partnering with influencers who have influence over your target audiences. Influence that is capable of swaying purchase decisions. Remember, effective Influencer Relationship Management results in building customer trust if done the right way. This will provide long-term benefits to your brand. However, building good relationships with influencers can be a difficult task. A poorly palnned IRM strategy will not only weaken relationships with your influencers, but also result in ineffective influencer campaigns. If you influencers are not invested enough in your campaigns, they will do a poor job of building your credibility. So you need to strengthen your Influencer Relationship Management strategy. A strong IRM strategy will help you harness the true potential of your influencer marketing campaign. This will not only increase brand awareness and customer trust, but also your returns on investment (ROI). Here are 5 ways your brand can establish strong relationships with influencers to help you gain customer trust and high ROI. Relevance is one of the key things to consider for effective Influencer Relationship Management. Partnering with influencers who have relevant and amenable audiences can be greatly beneficial for your brand. 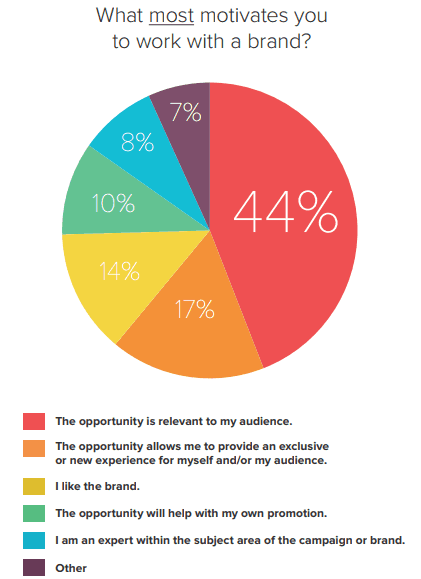 A Crowdtap study analyzed what motivates influencers to work with brands. It was found that 44% of influencers would like to work with brands whose offerings are relevant to their followers. In fact, relevance is the #1 motivator for influencers. The study also found that 49% of influencers are keen on collaborating more than once if they get relevant opportunities. So if you’re interested in building strong influencer relationships, you should definitely partner with relevant influencers. Most influencers get way too many pitches from brands. Relevance is one of the key things they consider when they respond to them. This is the exact reason why most beauty and clothing brands associate with fashion and beauty influencers. Here’s an example. The Kellogg’s sub-brand Special K launched an influencer marketing campaign with the hashtag #StrongFeedStrong promoting women’s strength. The unique thing about the campaign was that Kellogg’s didn’t involve any food or health influencers to promote the brand. Instead, they partnered with influential female entrepreneurs, athletes, and homemakers to increase brand awareness. The company adopted a unique style of storytelling encouraging women to reach their utmost potential. 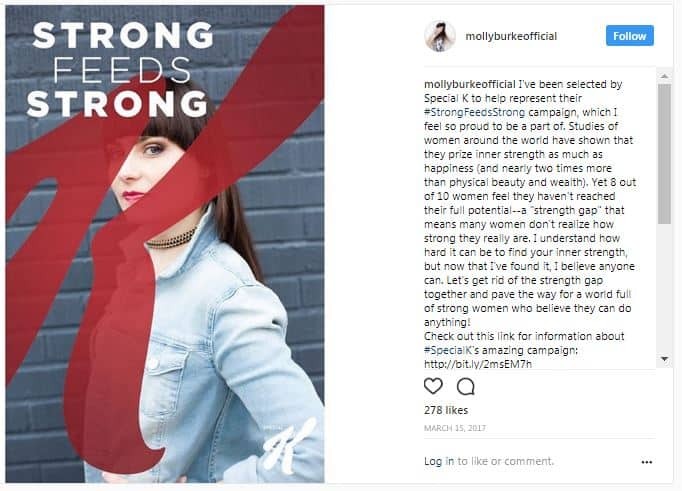 YouTuber and motivational speaker Molly Burke, too, was one of the influencers whom Kellogg’s roped in. Here, we see her promoting the brand with a caption about the true potential of women. This is how Kellogg’s collaborated with relevant influencers and made their campaign a success. Because such influencers were relatable, it helped the brand win the trust of their customers more effectively. And for the same reason, they were able to collaborate with so many influencers for their campaign. Well, the answer is, there’s no way to know for sure. However, you can definitely increase your chances of getting a response by sending personalized messages. If you wish to build relationships, you should interact with them as a person, before you do as a brand. You can start by following them and their posts on social media and blogs. Try to engage with their posts as much as possible. This means sharing, liking, and commenting on their posts on a regular basis. Be sure to post insightful comments so that they notice you. This is to make sure that you stand out from the crowd and the influencer remembers you. This will make it easier when you approach your influencers as a brand. Your influencer will know that you’re a fan of theirs. Contacting your influencer as a person and not as a brand is the best outreach strategy. This is a crucial step in your Influencer Relationship Management. Here’s an example of a personalized influencer outreach email. I’m [YOUR NAME], the [JOB TITLE] at [COMPANY NAME] and a huge fan of your work. I’m a regular reader of your blog and I really love your content. Your recent post on [TOPIC] was extremely informative and engaging. We have worked with [OTHER INFLUENCER NAMES] on our previous campaigns [MENTION LINK] and they’ve enjoyed working with us. We’re finalizing one of our social media campaigns at the moment and would love to collaborate with you. If you’re interested, please revert so we can set aside some time for a discussion. A personalized approach will help you gain your influencer’s trust. If they feel valued, then they will put greater efforts in making you look good in front of their audiences. Your target audience will start trusting you more if a credible influencer recommends your brand. Respect and good treatment are not the only things that will help you build strong influencer relationships. Your influencers also expect monetary returns for their work. Many brands fail to understand this and approach influencers with just with freebies. Both the TapInfluence and Crowdtap studies found that the major mistake brands make is to offer inadequate compensation. The Crowdtap study found that 68% of influencers would like to work more with brands that offer competitive compensation. This is supported by the TapInfluence study where 72.2% of influencers have reported that they’re not offered adequate compensation. When you provide adequate compensation to an influencer, you show them that you value and respect their efforts. This also indicates that you do not expect them to promote your brand free of charge. 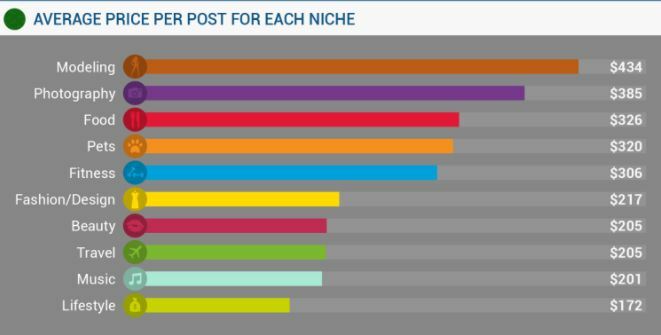 Influence.co conducted a study to understand how much it costs to partner with influencers. The study found that influencers in modeling charge the highest with an average cost of $434/post. They are followed by photography influencers who cost #385/post leaving the third place for food influencers costing $326/post. The study also found that the cost of partnering increases based on the fan following of influencers. For example, you may spend an average of $86.20/post with influencers having less than 1,000 followers. However, influencers with 100,000+ followers may cost you an average of $763.30/post. Creative freedom is of utmost importance to you as well as your influencer. Think about it, who knows the audience better – you or your Influencer? Definitely your influencer. They’ll know the tastes, preferences, and opinions of their followers better. After all, it’s your influencer’s audience you’re targeting. This means that your influencer knows what kind of content will engage their audience. Their motto is to publish content that will not only attract followers but also engage them. However, a TapInfluence study found that 39.4% of influencers are not provided the required creative freedom. They are bound by overly restrictive content guidelines leaving no space for creativity. 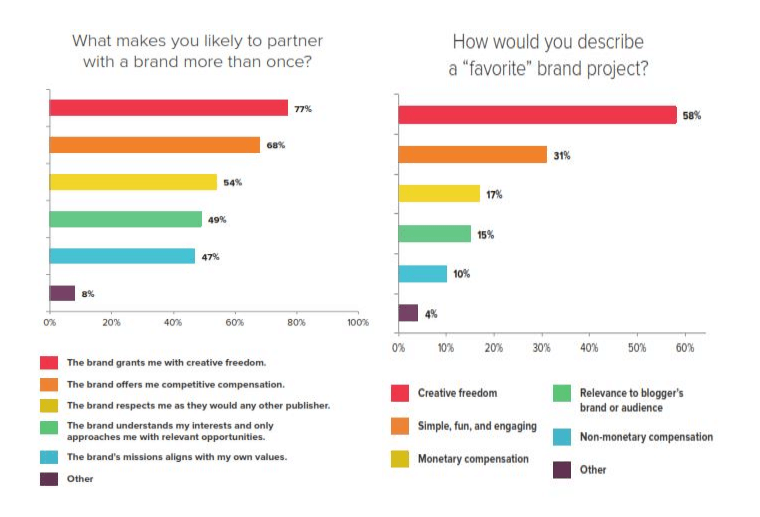 This is further supported by the Crowdtap study on “The State Of Influencer Marketing.” The study found that 77% of influencers might partner with a brand more than once if they provide creative freedom. Both the TapInfluence and Crowdtap studies found that better relationships are built with influencers when you provide them creative freedom. When you provide influencers with creative freedom, it shows that you respect not only them but also their ideas. And if they feel good about working with you, they will make sure that their content makes you look credible. This can help you win customer trust more efficiently. So, providing creative freedom is a crucial aspect in effective Influencer Relationship Management. If you want your brand to develop and maintain solid influencer relationships, you should respect your influencer’s time. You must understand that influencers need adequate time to create authentic and engaging content. This is important for influencers who work part-time or full-time jobs along with being an influencer. The TapInfluence study found that 32% of influencers don’t like working with brands that don’t give them adequate time. Similarly, the Crowdtap survey found, many brands have a misconception that content creation does not take up much time. Nor does it requires much effort. Hashoff created a report called “A Hashoff State Of The Union Report”. Here the company studied the amount of time individuals spend on social media and influencer marketing. It found that 35.% of influencers surveyed have a full-time job along with influencer marketing. 25.3% of them are students and 22.2% work part-time. So, it is important for brands to realize that influencers also have personal and professional lives. And they cannot be expected to put all their time into creating original and engaging content for your brand. Another thing which you should consider is meeting deadlines. You and your influencer must agree on a deadline for the delivery of content. Communicate your requirements and expectations honestly with your influencers. Also, provide them the timeline during which your campaign will feature. This will help your influencer determine the amount of time they will need to create your campaign content. If you feel that their delivery estimates are unreasonable, you can negotiate with them fairly and assertively. If you respect your influencers’ time, they will respect yours too. And such a relationship will encourage them to be more involved in the success of your campaign. The result? Greater credibility for your brand and greater likelihood of sales. So, make sure to provide adequate time to influencers as it’s crucial for effective Influencer Relationship Management. Some marketers believe that collaborating with many influencers will help create a successful influencer marketing campaign. They objectify influencers as commodities that they have purchased for a price. Unfortunately, this kind of mindset often leads to clashes with partnered influencers and does not generate the best of results (brand awareness, gaining customer trust, and high ROI). Keep in mind that the best results are often generated when you build strong relationships with influencers. The above-mentioned steps can really help you create a great Influencer Relationship Management strategy. Do you know of any other tips to help brands establish an effective IRM strategy? Feel free to share them in the comments section below. Great article, I love your stuff and the message that hiring Incluencers is the way to go. I just hope that we will not use the word “outreach” with Influencers, and instead to replace it with “hiring” bc Influencers should be hired, not solicited..